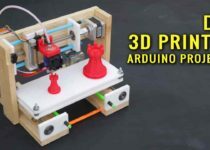 In this blog, you can see best useful easy and cool Arduino projects ideas list with video tutorial and code for beginners of Arduino engineering student and kids. Do you have any Arduino Projects idea? 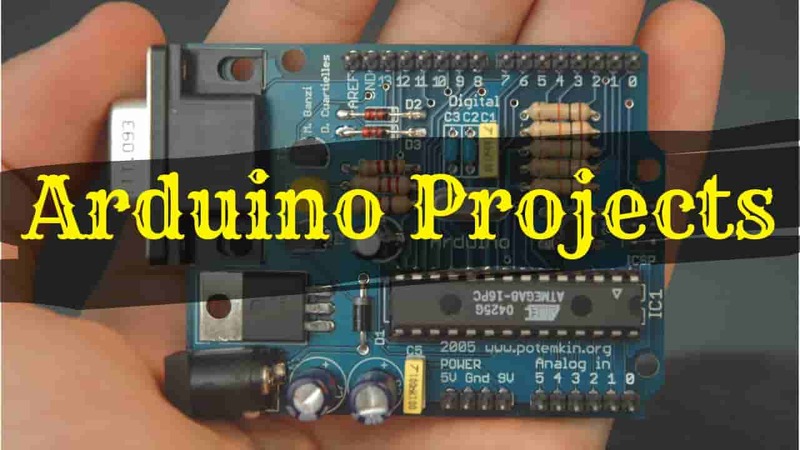 Here is the list of Arduino projects idea for your final year project. All Project you can make yourself at your home. Its all are DIY Arduino Projects. I show you some unique Arduino projects for your science fair project. This all Project are collected by my research work. you not required to find on the internet. I hope you can enjoy it. 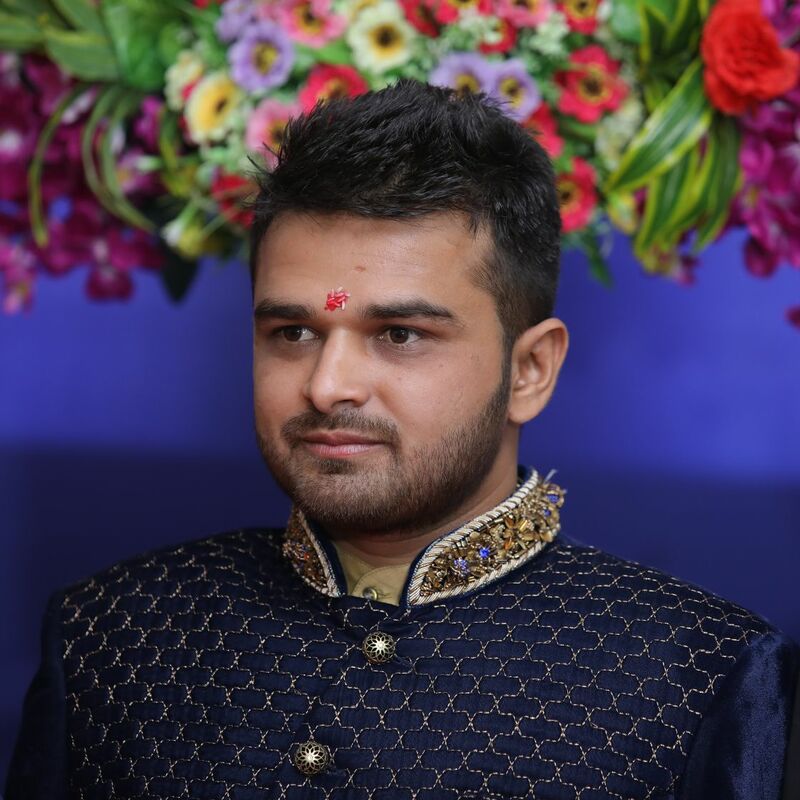 This blog was quite long, so read a full blog with patience you get good knowledge from it. I show you the project with a function of the project, difficulty level and part list of all project so you can be made this easily. you don’t need to waste more time in your research work and find a material list. An Arduino is an Open-source microcontroller used for making electronics projects. Arduino boards can read the input like sensor and fingers on the button and that will convert as output to rotate the motor, start LED light or something publishing online. you can see the full introduction of Arduino by click here. you can get all type of Arduino here. This Best list of Arduino Projects ideas includes wireless control, automation, motors control, robotics, LED, and more types. You can comment on your valuable idea in the comment box if you like my work. I will continuously update this article as get new updates. Writing machine use for writing, drawing, Signature, Outline Drawing, Coloring. Its an Automatic machine working like a CNC Machine. In this machine no need of coding required. it can work with the help of Benbox software. Writing machine is a creative idea for Arduino projects ideas. See below video tutorial carefully. if you have still confusion in making writing machine than read this blog of Creativitybuzz. I show you a different method to make the writing machine. In this machine made from Old DVD Writer. This method is very useful for a science fair project. Its look like that you made your own at home. That was a project made from waste components. For Parts, you can refer to the above method. You can also make a fingerprint door lock by using the fingerprint sensor and Arduino UNO projects. You can scan around 127 fingerprints for lock and unlock your door. Smart glass can show the time, notification etc from the smartphone to the glass. so you can easily respond it fast. Nowadays all electronic goods come with smart. so we are here to show you smart glass project. it was required good skill to make. Main parts of the smart glass are Arduino nano, Bluetooth module, and OLED display. you can watch my youtube video tutorials make it step by step easily at your home. This project is a very unique idea for your Arduino projects because you can not see more video or blog in this type of bike starter. One day I think about the bike thief, they will start the bike with the help of duplicate keys. so I was changed to fingerprint starting of ignition and we can save our bike from the thief. This type of creative idea makes your Arduino projects unique. RFID means Radio Frequency Identification. A door can lock and unlock without contact by RFID. This type of technic is used in a door lock, toll gate system, in a library for book tracking, chain management, etc. Watch the video tutorial for better understanding. Forward & reverse movement of Gesture control car is controlled by hand movement. it’s a very cool idea to make for the project. The main part of a car is “Arduino Lilypad and Accelerometer”. Best project for Arduino projects idea. you can make yourself by watching video tutorials. Now a days 3D printers are very demanding topics in the internet and social media. 3D Printers are mostly used in making prototype, Jewelry design, small statue, and any 3D object etc. This project was very hard because it needs so much accuracy to make 3D parts. We need this software for programming. you can watch below video to programming. The 3D printer is much popular in the world. It can make any 3d object as per capacity of the machine with the help of Arduino Mega with RAMPS 1.4 Controller. I show you a printer that made from old DVD writer. you can follow the below step by watching a video. The blind stick is very useful for blind people during traveling or in daily use. so with a blind stick, it will be safe always. To make blind stick is very cheap cost and easy to make. If you are presenting these projects in science fair than its creative idea and you get a good point. I will show you video in Hindi language but here language it doesn’t matter. you can make this by seen the video and follow that step. In this tutorial, you can learn how to make Arduino based robotics arm that was controlled by mobile phones. You can see the full details of programming and 3d printing of robotic parts. We can control each movement of a servo motor or robot arm with the help of application in your smartphones. You can download the 3D printing STL file from websites. This project is a very good idea for beginners of Arduino projects. Here a car can control with the help of mobile phone. No need for extra remote to make. When I was in college I made it for my Techfest project. you can also make for your project. This project is a combination of Mechanical, Electrical, and Computer engineering. That can make for its final year college projects. This machine is the band the wire automatically. This Whole world is transforming toward the digital world. Now its time to make a digital thermometer using Arduino. This project was very cheap and simple. No skill required for beginners. In Egg-bot robots, we can draw any image on an egg or any spherically shaped objects. This egg bot can draw anything that impossible to print on it. 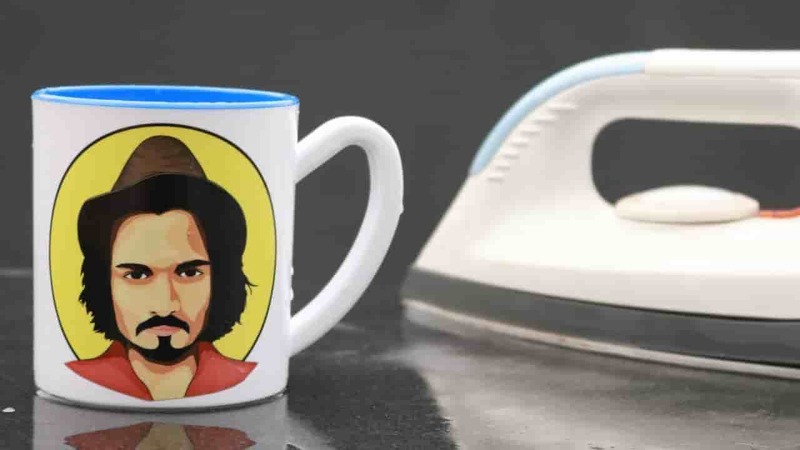 It can also print on balls, bulbs, mini pumpkins, bottle etc. Egg-bot is one type of CNC (Computer Numerical Control) machine and DIY robots. If you are participating in a Techfest or competition of science fair project than this was a good idea to make an obstacle to avoiding the car. Main parts are Arduino and Ultrasonic Sensor. This sensor will prevent the car from any object comes in his direction or path. To maximize the power output solar panel must be rotated with the sun. Sun is rotating so we can not get continuously rays directly on a solar panel. In this video tutorial, you can learn how to to make solar tracker with the help of Arduino. You can make a dancing LED cube (4x4x4) from Arduino Nano. You can make your own spy bug by Arduino. its look like circuit so you can record voice without another person know you are doing the recording. A self-balancing robot is working like a hoverboard. you can make this robot by Arduino Mega. If you are interested to buy a full kit of balancing car than click here. In this video, you can see the propeller type clock. it’s like a clock is rotating. Make your DIY Radio FM using Arduino. In this Arduino projects, you can monitor the level of water in tank automatically. You have to fix the Arduino nano pin at some distance of bottle that indicates the bottle how much feel and how much remaining. you get all this information on an LCD display. If the bottle is full then you can use Buzzer for alarm that bottle is completely full and time to power off the motor. you can make your own voice control car, no need for a remote. you can control with the help of mobile phone. As you speak left, right, go ahead, go back, and stop it will do as per your command. you can also call as voice control robot. The vending machine is automatic out the required product by a signal. here we see the vending machine working based on Arduino. In this video show you full step by step making process of the vending machine. you can follow below video for more instruction. The alert actuates in 10 seconds in the wake of squeezing a switch. For identifying objects it utilizes an ultrasonic sensor, and once the alert distinguishes something a signal begins discharging a sound. Keeping in mind the end goal to stop the alert we have to embed a 4 digits secret key. Line follower robot car made by IR proximity sensor and Arduino. You can participate in the competition of the line follower robots car. This robot follows the line you drawn. This type of application is used in a big MNC company to transfer an object from one place to other places. We can also make flying drone using Arduino boards. This project is a very good idea for your school or college projects if you thinking to make a science fair project. This project was not so simple. you required a good knowledge of operating the drone. if you don’t have the skill to operate remote than learning it because maybe your drone is damaged if it fell down from a height. To detect any gas using Arduino we need some sensor to detect it. There is a different type of gas detector available. But that sensor detects different gases. you have to check which gas you have to detect it. Here I will show you how to use MQ-2 and MQ-5 with Arduino. It will use in detect gas leakage. The radar can distinguish protests before it and guide them on PC screen utilizing the Processing IDE. This project is very famous to show creativity. For this undertaking, you simply require two parts alongside an Arduino board, and that is an ultrasonic sensor. The capacity of the radar can be acclimated to up to 4 meters with 180 degrees turn. To save energy is our main responsibility. In this project, you can save energy by turn on or off light or any AC appliances by two well times clapping. The electorate microphone is made of dielectric material. It will convert Sound into the voltage signal. This signal used to start and off the light. This project was like fun during the Christmas festival. you can make it your own by following below video. To controlling the RC Hovercraft we need an Arduino. The frame of hovercraft is made in 3D Printers. you can download the design of model from below websites. Dealing with parts or items by their shading has a vital certifiable application. These kinds of machines are frequently utilized for arranging organic products, seeds, plastics and so on. The working idea of these machines is somewhat straightforward. All you require is a shading recognizing sensor and obviously a framework that feeds the protest the sensor and afterward deal with it. Police check the alcohol level in the drunk driver by alcohol detector. This Alcohol detector is made from MQ-3 Sensor. To make a car by Arduino and motor is an amazingly creative idea to build it. The car made by Li-ion battery and DC Motor. It can handle with the help of analog joystick & L298N driver. Through this undertaking, we will likewise figure out how H-Bridge and PWM control work. You can pick one of the three unique techniques for remote control clarified in this task. Also, you can figure out how to make your own Android application for handling the Arduino robot. Preventing home from dust and other garbages we need smart dustbin. This dustbin is made from Arduino and Ultrasonic sensor. When any man/female comes towards the dustbin, it opens automatically no need to do effort for the opening of the dustbin. Spirit level is used in measuring the straightness of any surface to roll off any spherical object. But the problem is in simple spirit level is following. To avoid that problem we need to make “Digital Spirit Level”. This ultrasonic range finder used for the measure the distance of an object. I will show you three circuit to find the distance. First one finds the basic range using Arduino and ultrasonic range finder. The Second Circuit finds the more accurate distance by considering temperature into the speed of sound formula. The last circuit was the most accurate range finder circuit by considering temperature and humidity into the speed of sound. In this video tutorial, you can see how to connect the Soil moisture sensor and Arduino. With this, we can control the watering system of plant easy way. When the moisture content in the soil is reduced than water motor is automatically started and after getting a certain level of moisture the water motor is shut down automatically. Solve the rubiks for the beginner is a very hard task. you can solve this automatically by Arduino. See the below video tutorial and for more information like material list and code click here. For balancing of hoverboard required Arduino. You can DIY Hoverboard also make without Arduino. You can see more information like code and material list here. It’s an Arduino based home automation projects. 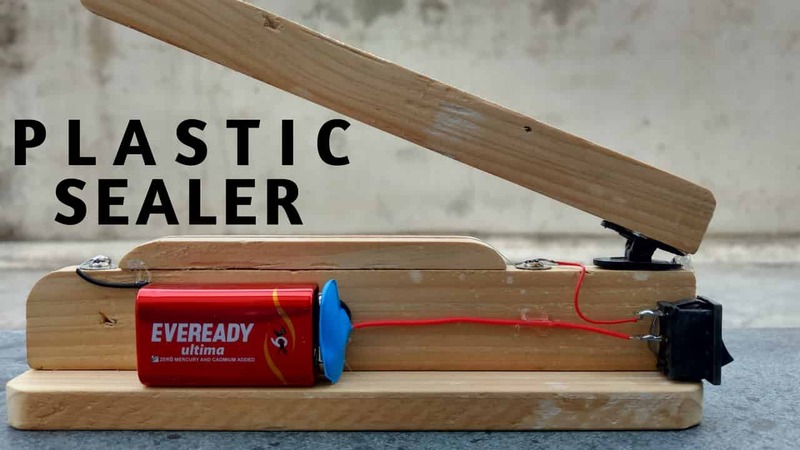 with this project, we can avoid the collision of a car with a wall using ultrasonic sensor fitted at the wall and it will show car distance from the wall of the garage by yellow, green and red color. When red color comes than buzzer gives sound to stop the car. This project is very easy for beginners of Arduino. In this, you can start yellow, green and red led lights. This project was also a cool idea for Arduino projects. This project is very simple and fun projects. You can give these projects to kids fro playing. so it can enjoy with them. This Project is Hardest of this all Arduino projects. This robot is looking like a man. It will be used in a hotel as a waiter also. If you are planning to make Arduino projects for your final year college projects than you must try these projects. you will good point by these service robots. I will show you a video tutorial of these robots in 2 parts. But the problem is the video is in the Hindi language. here language does not matter. you can learn this by watching the video also. You can see the above video tutorial to make it Arduino projects at home. I hope you like our list of the project of the Arduino projects idea. you can share with your Arduino projects lover or science project lover. In this blog, you get new and creative ideas about Arduino projects. I gave that Amazon and banggood material list. Banggood website provides you parts at very cheap cost. If you like my work then buy these parts from the above given link. so I get a little amount of commission. It will increase my confidence level to do something new for you. you can also read this type of electronic blog on my creativitybuzz website. Just to let you know it was the water level indicator project that we made with your help ofcourse. I have arduino uno, hx711, load cell, locksileld keypad. I want to make weight scal alert type. If i set 20 grams and when show 20 grams in dispaly than i need nc contact by relay. Any like 20, 25 ,30, 100, grams complet by weight scal than i need alert by relay. Please help and give me code. Thanks for this big job. It’s great if he doesn’t have a powerful cellphone and thank you for making such videos and giving me inspiration. I love this channel even i asked you for that writing machine which you made and said you to give it away! I even asked your cnc instead I will give you my flare smoke and m416 and level 3 helmet which I made out of cardboard! You even replied my comment in the YouTube! Love your channel and projects but I am studying bipc and also interested in making stuff like you do! All the best keep doing these excellent projects and teach all to the tommorow’s citizens! Hope you will give it away! Great job! You are inspiration for future and make things like this and help in future technology! But remember don’t use once use plastic and don’t encourage someone to use it and also keep your surroundings clean and neat do not pollute the environment! I would like to suggest the smart glasses made of Arduino to win this laptop . Because if these smart glasses are introduced to college students they visualize the classes with more practical view. These smart glasses can bring them into their eyes what they actually learn. If I win this laptop I would make use of this for my future career as an inspirational engineer because your appreciation by your momento of laptop . I suggest the laptop because it helps students see a thing in practical and helps them to know more with the help of internet. This will bring a bigth future for them. If i win this laptop i will use for my brigth future. Thank you. My favorite project is Arduino Radar. Because I build this by following your video step by step.I would to win laptop because I am tech fan. Thanks for inspring us. For those students who thing less or think small can isnper them to do something crative. Then they can use there creation for their education and their practical life. I am a student. So, I’m being inspired too from your video. Now I am planning to do some thing crative in my future. If you give me the laptop it may help me in my future. I will use it for my future. The main reason I want the laptop beacuse I never had a laptop and I can’t afford a laptop. Please give the laptop to me. It may help me in my future. Bro super Technology information This is good keep it up.More Technology Videos All the best. Self Balancing RObot is great..
We will support you from give like on youtube. Hellow I am Nafis. I am a student. I need that laptop beacuse I am a student. I can not afford a laptop. You don’t know that I am writing this comment from my frinds mobile and I have no smartphone. For want of a laptop I can’t do any practical and many things of my school. So, my study is not going well. If you give me the laptop it will be a sorce for my brigth future. I am badly need of a laptop,please give it to me.